I’ve just finished reading a YA book by author Beth M. Honeycutt. 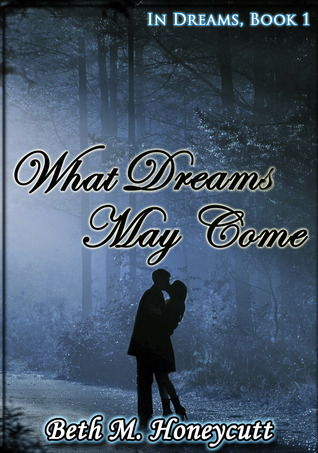 I’m so glad my friend Rochelle Bradley introduced me because the story What Dreams May Come is very, very sweet. And Ms. Honeycutt is a professional editor, which makes this a very polished read. Ellie Cross, our young protagonist, has a frequent dream companion named Gabe. He visits her regularly, appearing as if on cue to commiserate over deep sorrows or share surprising joys. And she can spill her heart to him utterly since there’s no reason for regret or hesitation simply because Gabe isn’t real. After all, her mother even paid a therapist to help convince Ellie. So the shy, overlooked girl makes the best of the situation, enjoying this long-lasting companionship as a private sanctuary. If she must keep Gabe’s continued appearance secret from her mother, then so be it. At least someone accepts her without judgment or disappointment. I feel that Ellie, however bullied at school, could have easily come across as terribly unappreciative of the good in her life. I mean, things could be so much worse as the young lady herself comes to learn. However, Ms. Honeycutt does a lovely job of balancing over-reactive teenage angst with deep human pain. As for escapism, who wouldn’t want their own private guardian angel? And maybe, just maybe, they can take real human form. Wouldn’t that be wonderful? Thank you! I really want to promote her talent. Best wishes, and thanks again for stopping by. You know what? I sometimes think I've got a guardian angel. Too many good things happen for it to be coincidence. That's wonderful! And I totally agree. There have been some incidents that should have landed me in a shallow grave but I made it home safely every time. Thanks for stopping by. It sounds like a really lovely book - the kind of thing I would have liked to read when I was teenager. It's a testament to the writer that I enjoyed reading in my adulthood. Then again, sometimes I think I never grew up. Thank you for the kind words! Thank you for the kind comment! Best wishes, my dear. 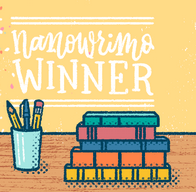 Thanks for featuring WHAT DREAMS MAY COME on your blog, Darla! I really appreciate it! It was my pleasure. Thank you for sharing your gift of writing with the world. Best wishes! Thank you for stopping by! It really was. You often act as one as far as I'm concerned. ~hugs~ Thank you for the kind comment. It's always nice to see your smiling portrait. Me, too. Thank you, my friend.